The A-wing starfighter made its first movie appearance in Star Wars Episode VI: Return of the Jedi. In the movie a squadron of A-wings fight for the Rebel Alliance at the Battle of Endor. 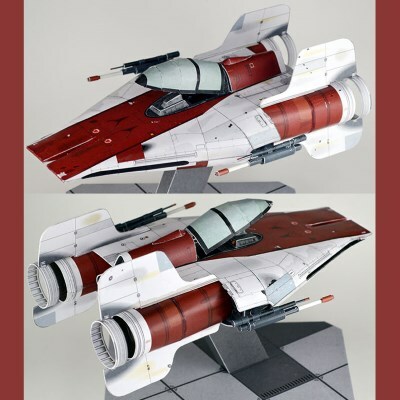 This papercraft A-wing model was originally designed by Makino Shunich in 2010, however he made some modifications to the template in 2018. 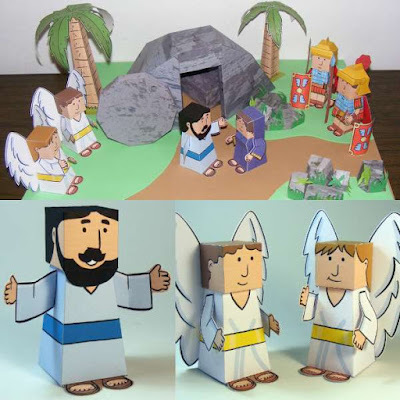 The printable template for the model (as well as detailed instructions) may be found here.